For details will update soon. One of the most exciting films we have screened so far is coming up on 20th April! Directed by Bornila Chatterjee, The Hungry is a contemporary retelling of Shakespearian tragedy Titus Andronicus, set in the extravagant surroundings of an Indian wedding in contemporary New Delhi, whilst exploring the role of the patriarch and corruption in Indian politics and big business. The film stars two of the finest actors in the Indian film fraternity today, Naseeruddin Shah and Tisca Chopra and this is perhaps one of their most gripping performance in their career so far. 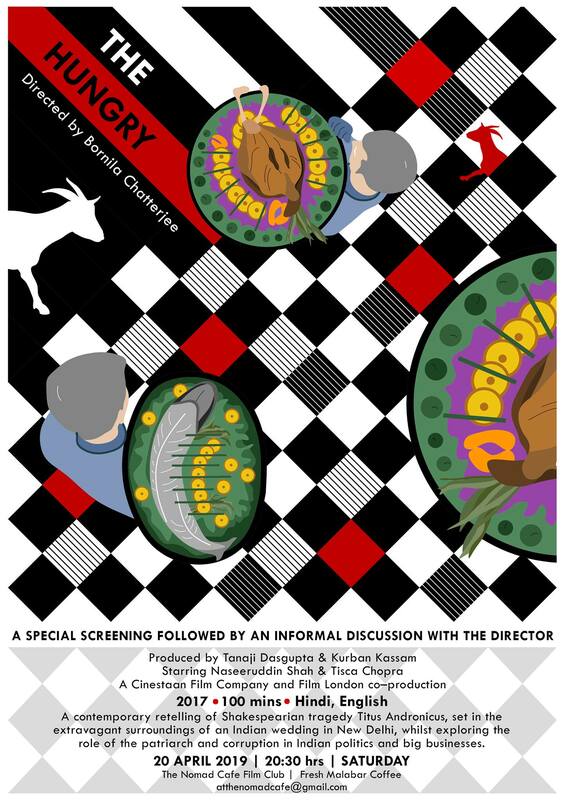 Director Bornila Chatterjee will be present during the screening for an informal discussion post the film. Do not miss this one! You will surely leave this film with your mouth wide open!